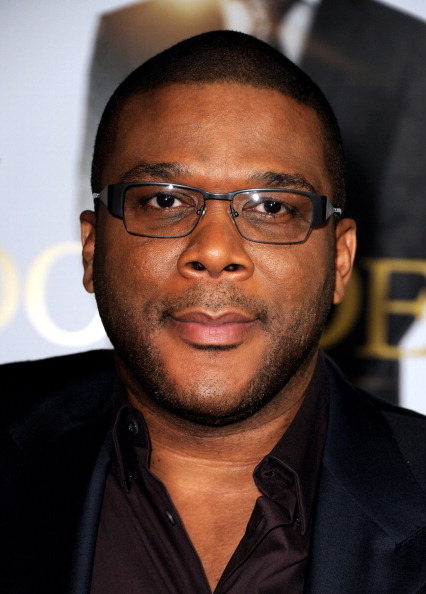 *As the title character in the upcoming release of action thriller Alex Cross, Tyler Perry has momentarily hung up his Madea-style moomoo, grabbed a badge and a bigger gun to play an admitted badass detective, says BCNN1.com. Apparently, there are no days off for the multiple-title having Perry, though. Of course, this new movie deserves a prayer — so when he recently appeared on “The Colbert Report,” that’s what he and Colbert decide to do, pray. Can we get an amen?